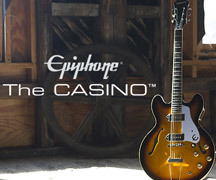 Epiphone presents the new Ltd. Ed. Björn Gelotte "Jotun" Les Paul Custom Outfit, the second signature model designed with Björn Gelotte of In Flames. Featuring a classic Les Paul Custom with a Bone White finish, EMG "Metalworks" Active Pickups, an Ebony fingerboard, and Grover® Roto-matic Machine Heads. Gelotte has also added a stainless steel bottle opener on the back of the guitar along with a custom designed Hard Case and a hand signed Certificate of Authenticity. The Epiphone Björn Gelotte "Jotun" Les Paul Custom Outfit was inspired by the In Flames classic co-written with Gelotte for the band's 1997 album, Whoracle. 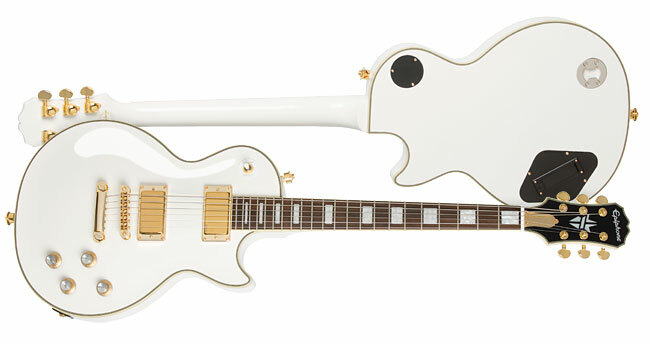 The "Jotun" Les Paul Custom Outfit has a classic Mahogany body in a Bone White color finish. 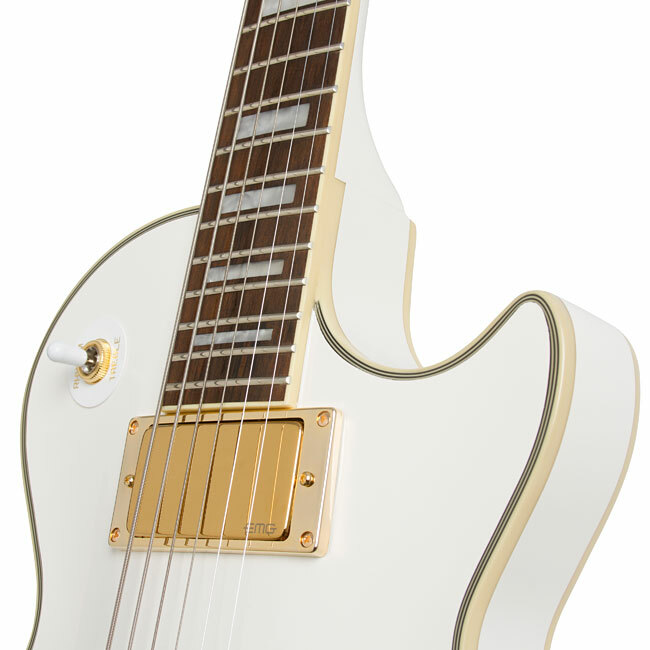 The body top, back, and headstock have traditional Les Paul Custom style cream and black 5-layer binding while the fingerboard has single ply cream binding. The Mahogany neck has a Rounded Custom '59 Profile and a smooth Ebony fretboard with 22 Medium Jumbo frets, classic block pearloid inlays, a standard 24.75" scale, and a 12" radius. The headstock has the "Epiphone" logo in pearloid along with an In Flames "Jester" inlay in pearloid. 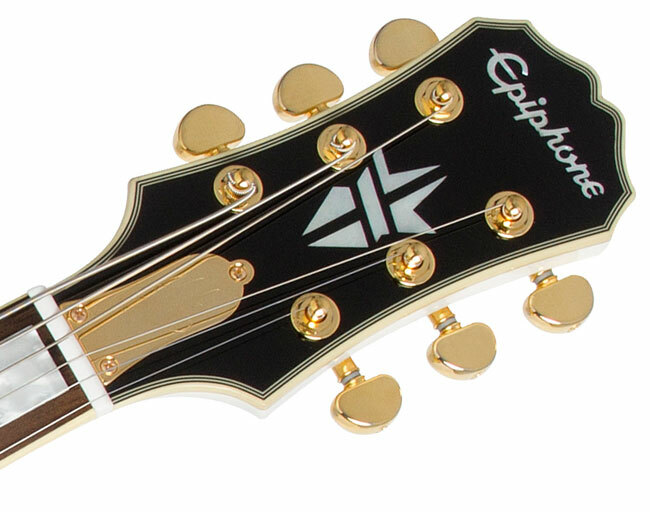 The back of the headstock has an "Epiphone Limited Edition" logo in gold. 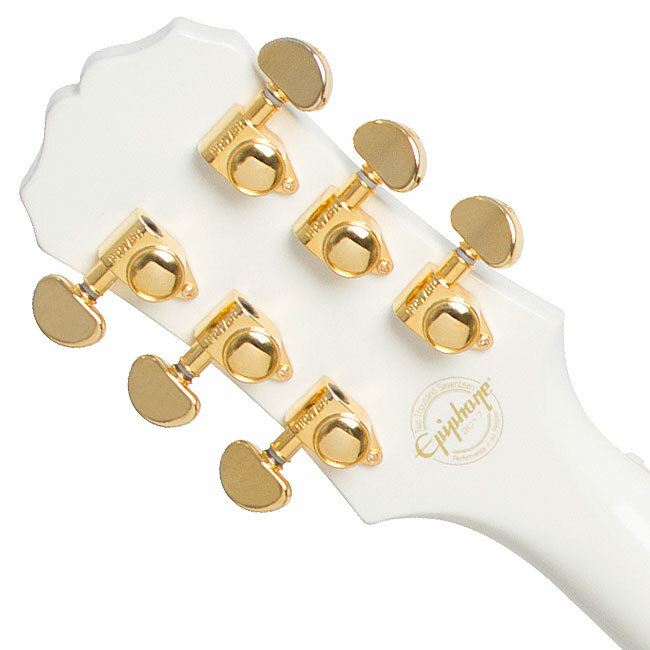 The "bell-shaped" truss rod cover is gold plated with an engraving of Björn's signature. And on Gelotte's request, the "Jotun" Les Paul has a Stainless-Steel Bottle Opener on the back. EMG™ Metalworks Pickups: The Ltd. Ed. 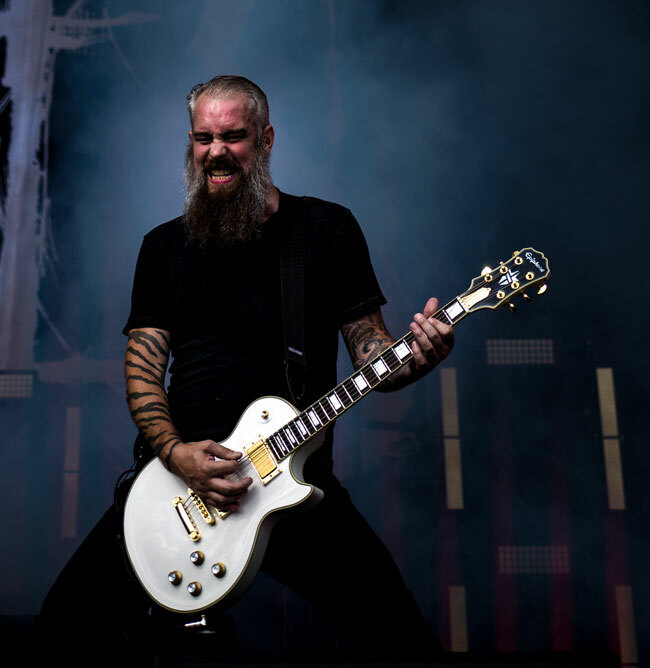 Björn Gelotte "Jotun" Les Paul Custom Outfit is powered by an active EMG-85 USA "Metalworks" humbucker in the neck position an active EMG-81 USA "Metalworks" in the lead position. EMG "Metalworks" pickups feature distinctive polished stainless steel covers and have Ceramic magnets with close aperture coils for a tone with exceptional range, sustain, and cutting high end. 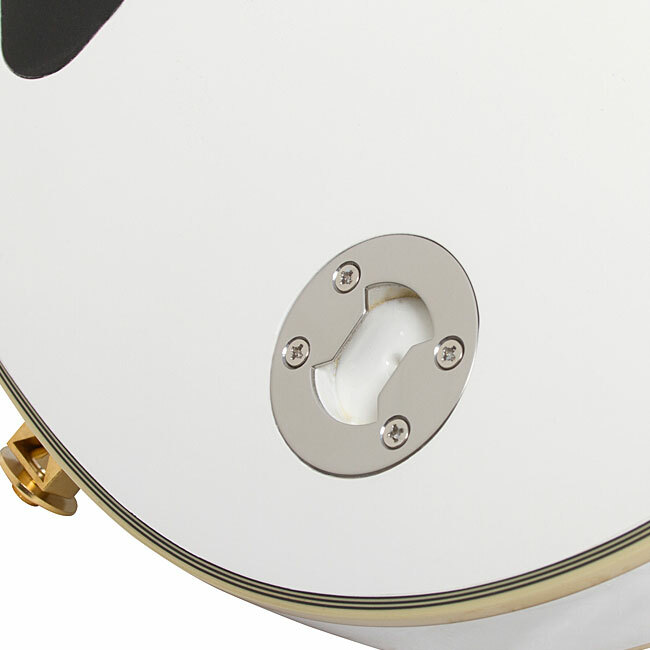 The 9-volt battery compartment for the EMG active pickups is easily accessible on the back of the Les Paul. 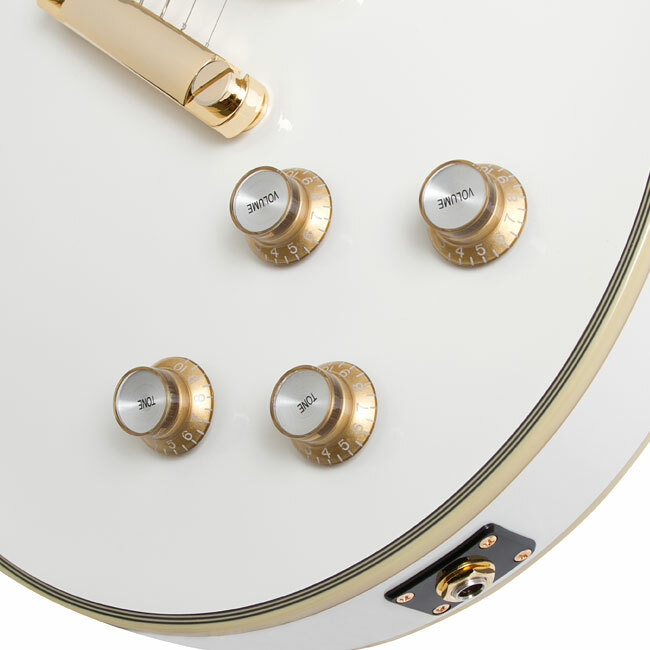 Standard controls include an Epiphone all-metal 3-way Pickup Selector with white toggle cap and individual controls for each pickup's volume and tone with gold "Top Hats" knobs with metal inserts. 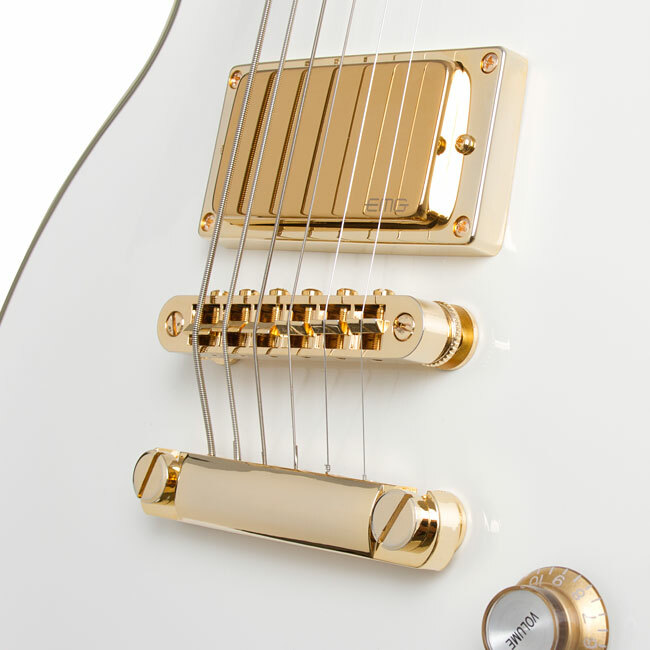 Gold Hardware: The "Jotun" Les Paul in Bone White finish has striking gold hardware including Grover® Roto-matic™ machine heads with an 18:1 ratio, a rim mounted Epiphone Non-Rotating Heavy-Duty 1/4" output jack, a LockTone™ "Nashville-Style" Tune-o-matic bridge and Stopbar tailpiece, and Epiphone Strap Locks. 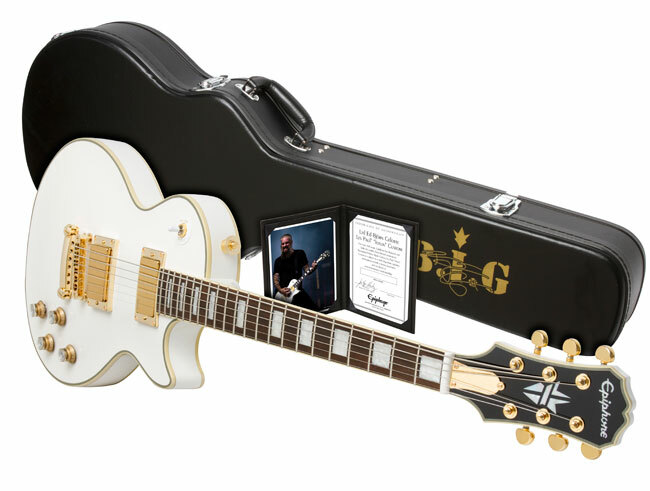 A Custom Hard Case with "B.I.G" logo in gold is included along with a hand signed Certificate of Authenticity and a binder with certificate and photograph. Limited Lifetime Warranty: The Ltd. Ed. Björn Gelotte "Jotun" Les Paul Custom Outfit comes with Epiphone's Limited Lifetime Guarantee and world famous Gibson Brands 365/24/7 Customer Service. But remember, supplies are limited. 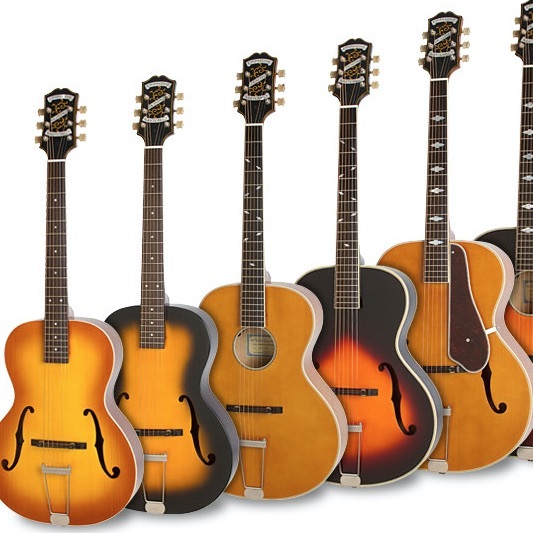 Visited your Authorized Epiphone Dealer today!